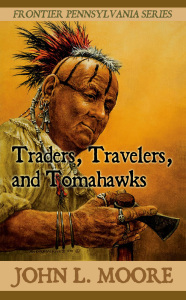 SUNBURY, Pa. — Sunbury Press has released John L. Moore’s Traders, Travelers, and Tomahawks, the second of eight volumes in the Frontier Pennsylvania series. 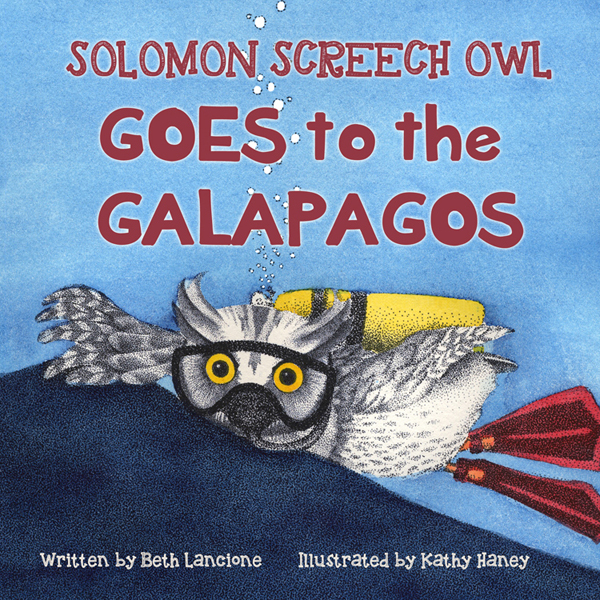 MECHANICSBURG, Pa. — Sunbury Press has released Beth Lancione’s Solomon Screech Owl Goes to the Galapagos. The book was illustrated by Kathy Haney. 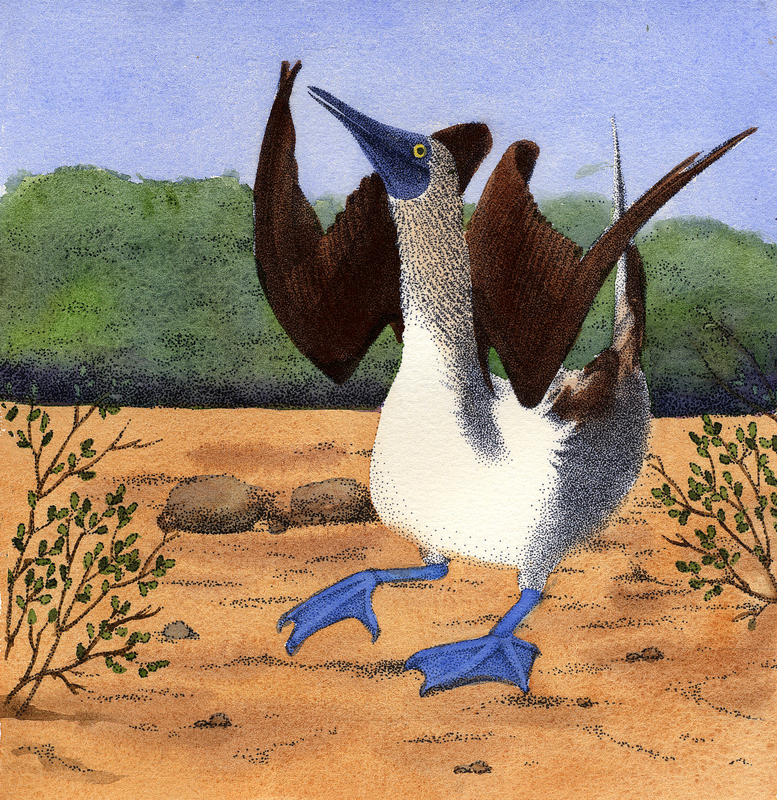 Kathy says, “The Galapagos Islands are home to some of the earth’s unique birds and animals. There are few places in the world where you can have an upclose and personal interaction with wild creatures. While new to American audiences, Ruth Connell is about to cast a spell a whole new fan base as she makes her big debut on SUPERNATURAL this season. Briefly introduced in the episode “Soul Survivor,” Ruth returns in the upcoming November 25th episode entitled, “Girls, Girls, Girls.” So look for her to stir up some trouble for the Winchester boys while turning few heads and perhaps turn up the heat in more ways than one. In an exclusive interview, Ruth talked about how much fun it is working on the long-running adventure series that explores the dark side of Heaven and Hell. What can you share about your particularly bewitching character on SUPERNATURAL? RUTH: I play Rowena and I can definitely tell you that she is a witch, and I don’t know what else I can say. There is such a sense of mystery about the show and I am under such strong warnings about spoilers! I will say that Tuesday’s episode has a great surprise in it and you may be seeing more of me after that. So that is about as much as I can say. So what drew you to the role? What interested you in it? RUTH: My friend actually emailed me the breakdown of the character and it had everything I was looking for in a role. It just sounded incredible. Rowena is feisty and she’s definitely nobody’s doormat. She is a woman who knows what she wants. I wish I had some her balls! For you, what has been so far the most fun working on the show? RUTH: (Laughs) Honestly, everything about this job has just been a dream — from the casting process to appearing in scenes and that includes the gentleman that picks you up at the airport in Vancouver to the guy in craft services, Mike Campbell who is also of Scottish descent. Everything about the job has just been so wonderful. People talk about the SPN family and it really does feel like I’ve landed in something just wonderful. It’s my first American TV show and I am completely aware of how lucky I am to have landed in the SPN family. It is everything people would think it would be. It’s just wonderful. SUPERNATURAL is also known to be a boys’ club and they like to have a little fun and they pull pranks on each other. Are they pulling you into the prank world yet? RUTH: I think they have been quite gentle with me so far. I have seen Jared, Jensen, Mark and Misha on set and they just bring such amazing energy. It is incredible to think they all have been doing [the show]and how fresh they are and how much fun energy they do bring. They bring such a sense of enjoyment and naughtiness, I think. (Laughs) And they’ve got a twinkle in their eye. It’s great fun. What was it like working on your first episode of the show? RUTH: For my first episode, Jensen directed it and he is just the loveliest man. He is so kind and so patient. It was an amazing first experience working on SUPERNATURAL and it was great to be directed by him. I had been watching as many episodes of SUPERNATURAL that I possibly could, and then when I got there, he is so boyish and so young in real life. I was like, “Oh my goodness! How am I supposed to do this show with him? !” He is so youthful and looks so young! They all clearly have so much fun on the show and that probably helps keep their youthfulness alive in them a bit. RUTH: Yeah. They are all great friends in real life. Though I have to say, it comes from higher up than that. Everyone I’ve met on the show has a real sense of enjoyment. I was also lucky enough to be invited to the 200th episode party that they had in Vancouver and that was amazing. I ended up dancing barefoot with Felicia Day. I keep pinching myself. I am so lucky to be in the show and to have the warm reception that I had from everyone. It is amazing. Working on a show like SUPERNATURAL, they have really outrageous characters and stories. Does that kind of throw you for a loop or do you just kind of roll with it? RUTH: The second script I got, I was working with Bob Singer on set and I was like, “I can’t believe what I’ve got to say in the next episode!” I felt like I had a good idea of what was the character, then they surprised me. I have something quite outrageous to say in the episode coming up. I was thrilled. I’ve done a lot of theater and the more extreme the character, the better. That’s where I’m most comfortable. And I was shocked. I can’t wait to see how the fans react to a couple of things that are said and done by my character. Sounds like it is a dream come true for you to play a character that is so completely different than who you are. RUTH: Yeah, definitely. Last year, I did a play in L.A. with Noah Wyle and Daniel Henning. I ended up playing Mrs. Darling and Captain Hook. Captain Hook is the most outrageous character that there is and to be a woman playing that, it was another amazing experience. I think playing that kind of role definitely prepared me for Rowena and the flavor and essence of SUPERNATURAL. It is larger than life and epic and fun all at the same time. So you hope to be playing Rowena for some time to come. Sounds like a fun role for you. RUTH: I would happily go on and on and on if they would have me. As an actor, I look to people like Tommy Flanagan — who is another Scottish actor — and that’s kind of why I got into the business and what I dream to do in that style of movie and roles — to do something completely opposite, a real contrast. If you could sit down with Rowena, what would you like to tell her? What kind of advice would you give her? RUTH: You know what? I think she’s pretty sorted. I wish I had some of her confidence and her balls. There is a saying in Scotland, “keep the heid.” It’s like, “keep your head screwed on.” That might be my one piece of advice to Rowena. How would you generally describe what is coming up for Rowena on the show? RUTH: I would say quite a bit of surprise. It was a surprise to me. There’s definitely scope for Rowena to impact more than one of the main characters. Her actions definitely have a long range effect. Is it even possible to think that she may have a romantic interest, or is that the farthest thing from her mind? RUTH: (Laughs) I’ve read some of the fan stuff. The fans are amazingly perceptive, like the clips for the episode where I was introduced — all the stuff about the entity inside me and there was an orange rose in the vase — and I was like, “Wow!” I had been so busy concentrating on not knocking my glass of whiskey over. So they noticed more than I did and I was on the set! So, you know, Rowena is a woman. She could be open. So she might be open to some male admiration. Is SUPERNATURAL the only thing you are working on at the moment or is there something else you’re working on? RUTH: I just shot a DOGMA-style movie a couple of weeks ago, called “Hara-Kiri” with a friend of mine, Henry Alberto, who was in a play I did last year. That is opposite in the spectrum. No make-up, no lighting. It’s got a serious subject matter. It’s interesting because I discovered a bottle of vodka on set and you can use what the character would use and by the forth take the vodka was influencing my acting. So that was a learning curve. 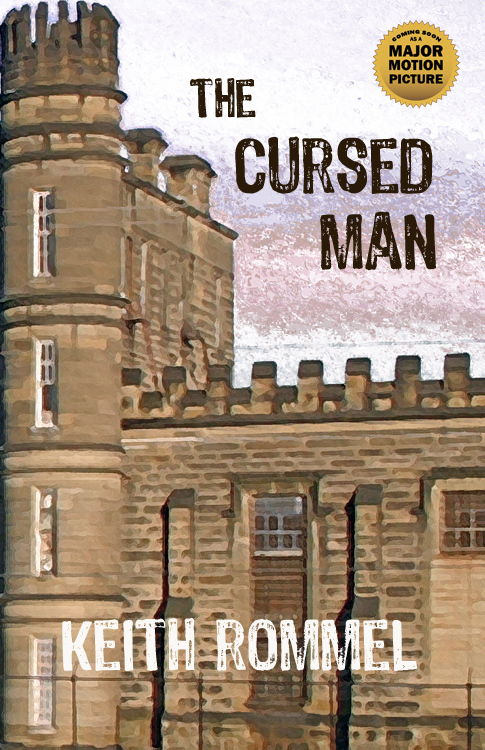 (Laughs) And I did another film at the beginning of the year called “The Cursed Man,” from an occult novel (by Keith Rommel) and that is in post right now. I also do quite a bit of voice-over work as well. I can voice-match and I’m not allowed to say what individual characters I do, but there’s one character that is so full of life and she’s great fun to do. That was my first really cool job in America. It’s fun to be in America and be able to use my own voice, which is an unexpected treat. It is so great that it happening more and more. Sounds like you’ve had a busy year and hopefully we will see more of you this next year too. RUTH: Yeah, I’ve been working hard for a long time in the business and I’ve nearly been there to break-out a few times. Like I was cast as a series regular in London before I came here and then the show didn’t go. So I came here and I knew one person in L.A. and I’ve kind of done it from scratch. So it hasn’t been too fast. It’s been a couple years. But I’ve been working hard. I’ve actually been on stage since I was 4 years old. So now everything seems to be rolling out and I’m so ready for it — and so grateful for it and relishing it because I know the other side of it. I know what is is like to be nearly there and it is not quite happening. So to be in a show like SUPERNATURAL, with such an amazing following around the world, it is everything I could have hoped for. I’m also going to my first SUPERNATURAL convention and so I’m going to meet the fans face-to-face next year. I’m excited about that. It will be fun. To see just who Rowena may be tempting and torturing this week, be sure to tune for an all new episode of SUPERNATURAL on Tuesday, November 25th at 9:00 p.m. on the CW. MECHANICSBURG, Pa. — Sunbury Press has released Beth Lancione’sSolomon Screech Owl’s First Flight. The book was illustrated by Kathy Haney. 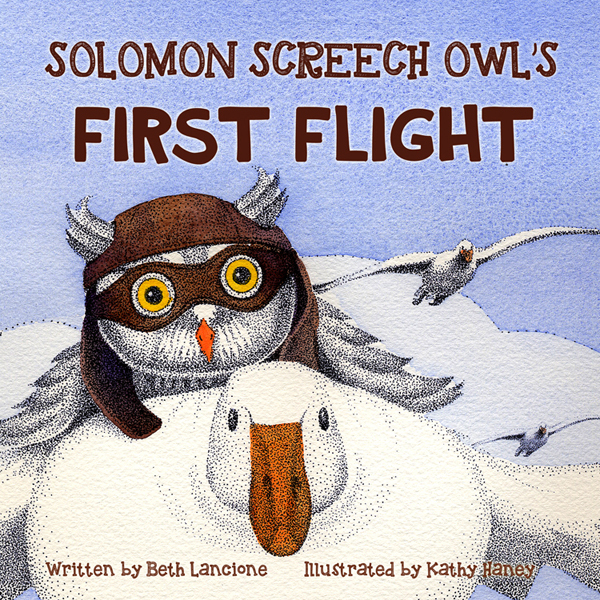 Soar with Solomon Screech Owl as he takes hisFirst Flight on a grand adventure. This inquisitive, feisty little bird is sure that there must be a big world beyond his tree branch, and he sets out, with the help of some other species, on a quest to see all that this world has to show him. How do you assess what’s being offered at a sunny Florida SleuthFest, especially if you may be receiving some mixed messages? 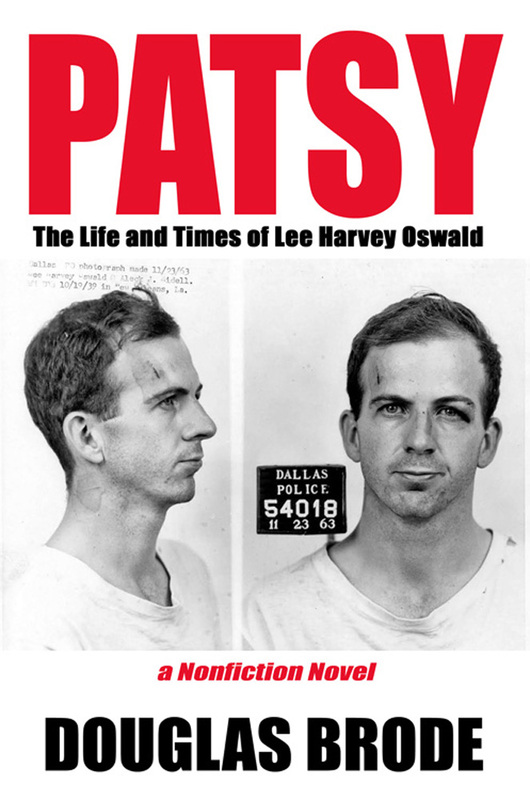 For example, in SleuthFest 2014 there were three keynote speakers: Laura Lippman, Ace Atkins and Hank Phillippi Ryan. Let’s start with the renowned Laura Lippman who, in her inspiring talk, declared that crime writers don’t occupy a formulaic niche as Isabel Allende claimed but have created some of the most enduring works of literature. Segue to a small panel discussion where three out of four “successful” authors tell how much fun they’re having. 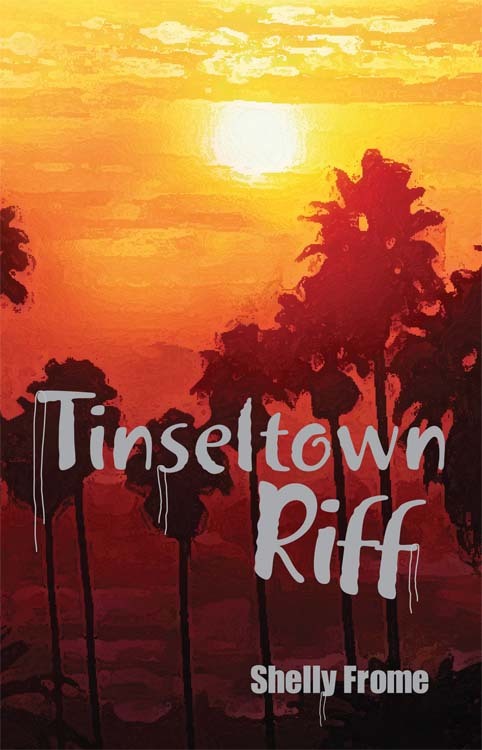 One lady, in fact, disclosed that her heroine is a much younger, beautiful, intrepid version of herself, able to embark on all the hair-raising adventures the author herself wished she could still have and survive without a scratch. Best-selling writer Hank Phillippi Ryan exhorts everyone to take their time and concentrate solely on the quality of the work till it’s fully polished and receives a stamp of professional approval. At the same time, at another small panel focused on cross-promotion, the objective seems to be a continual flow of material while garnering enough followers so that a group will let you in on their joint commercial venture. There’s no problem with Ace Atkins advice on the dais and around the pool. As long as you accept his theory that former crime reporters have an edge. That is, they know the value of a great hook up front, appreciate writers like Robert B. Parker (Atkins was selected by Parker’s estate to continue the adventures of P.I. 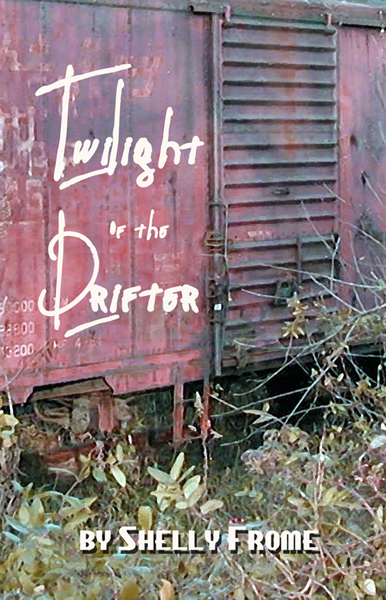 Spencer) and are perfectly willing to toss out passages and chapters that don’t work and slow up the action. Back to the panelists. On one devoted to editors’ demands, a publisher blatantly put down what he called M.F.A. writing because it smacks of a love of words and no clue what it takes to write a good story. At the same time, around a table at lunch, a pleasant lady from San Francisco was happy with her M.F.A. from Goddard. She also disclosed she was doing quite well as a crime novelist at Minotaur. On the other hand, there was a panel devoted to plot springboards, especially geared to those writing a series about an amateur detective. Here you could find tips if you find yourself stuck for ideas and/or want to avoid the same old, same old motivation ploys. Skipping now to the auctions. A duo of auctioneers claim if you win the bidding on, say, a thirty-page manuscript critique by Lee Child, you’re well on your way to climbing the proverbial ladder. But, then again, after plunking down some 600 to 1,000 dollars, this former British advertising executive may be the last person whose advice a writer should follow. He’s on record insisting his Jack Reacher character can’t evolve or even have a humanizing back story because that would ruin the brand. 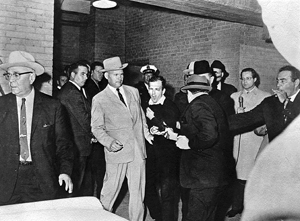 Moreover, haven’t we heard over and over that any story, be it crime fiction or what-have-you, deals with at least one flawed character forced to change due to pressure and provocative unforeseen circumstances? In short, maybe like everything else, it takes a critical eye to know exactly what you’re doing. So that you have a sense that whatever notes you’ve taken during your stay may help take you where you want to go. MECHANICSBURG, Pa. — Sunbury Press has released Joanne L. S. Risso’sSilver Moon. The book was illustrated by Christiane Künzel. 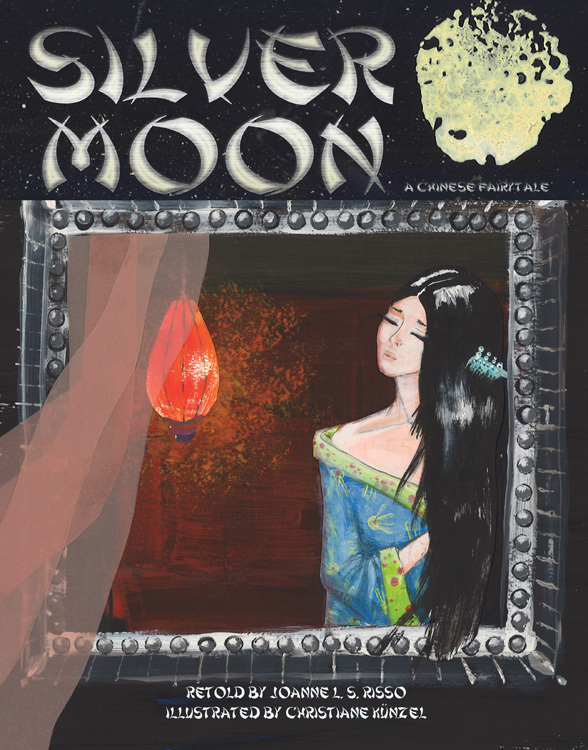 Silver Moon is a Chinese fairytale, and the name of a beautiful princess with a strange illness. Two magic blue gnomes from the Moon, named Pik and Pok, try to cure her of her illness with help from the Man in the Moon, a pair of moon swans, and a dashing young prince from India. Joanne L.S. Risso was born and raised in Gippsland, Australia. 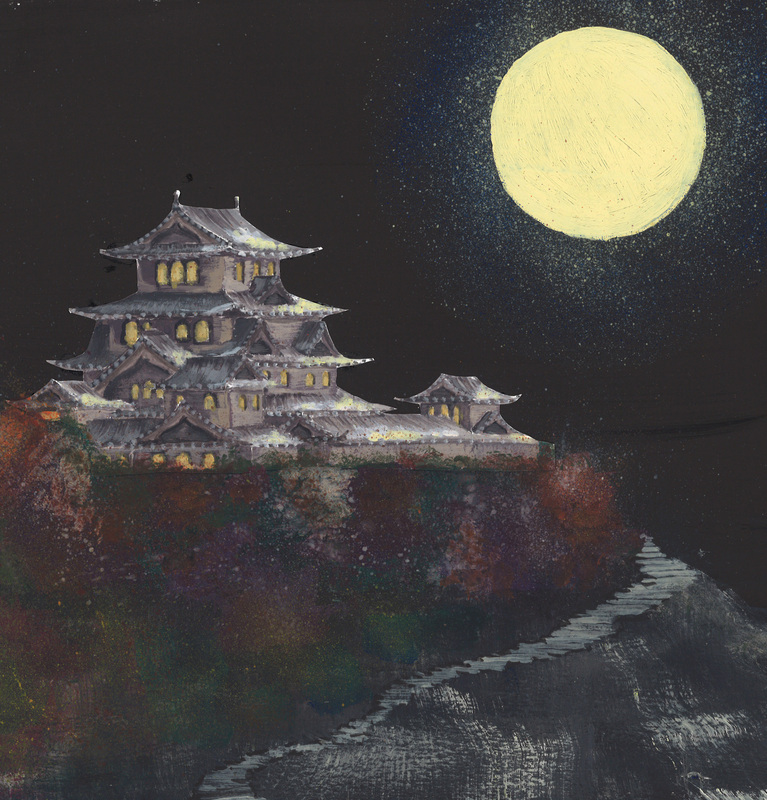 Her mother used to read the story of Silver Moon to her when she was a little girl. She believes that princes, princesses, and palaces; maidens, mermaids, and magic; dragons, fairies, witches and castles should all be kept alive through stories and play. She lives with her husband and four children in Central Pennsylvania, where they often search for fairies in their garden, put on family plays with vampire-mermaids and pirates, and have sword fights in their tree-fort. Christiane Künzel was born in 1978 in Osnabrück, Germany. Having a great love for stories, she started illustrating them early on. She then began turning her passion into her work by studying arts and English at the University of Osnabrück. She currently teaches children from age 10 to 18 at a German ‘Gymnasium’ in Arts, English and Dance. She lives in Hamburg with her two children and her husband, who enjoy seeing the stories they read turn into vivid images. Over the Sea, Joanne L.S. 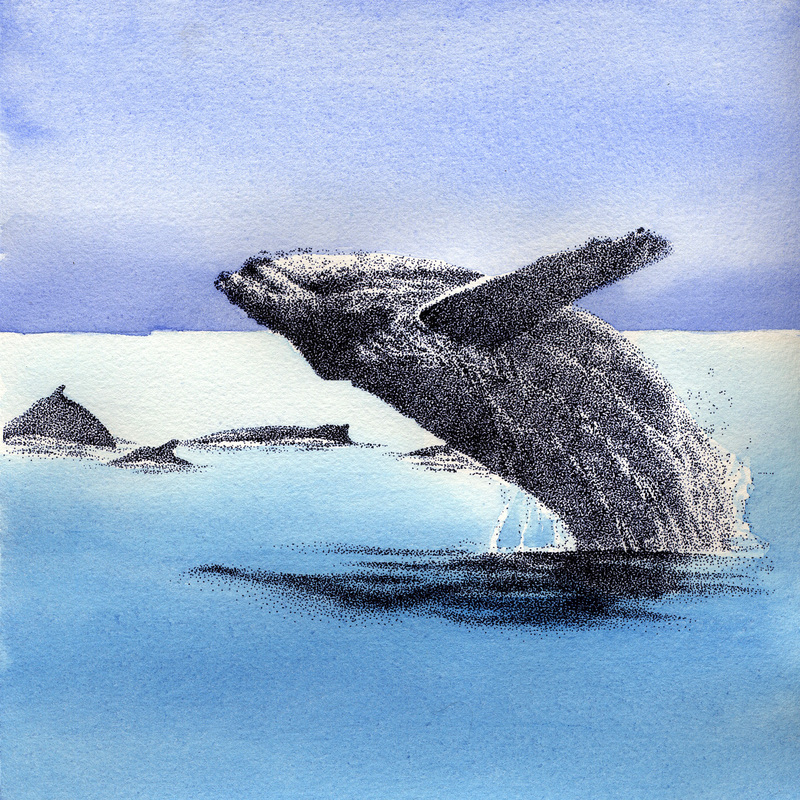 Risso and Kathy Connelly (illustrator), Sunbury Press Inc., 2011. 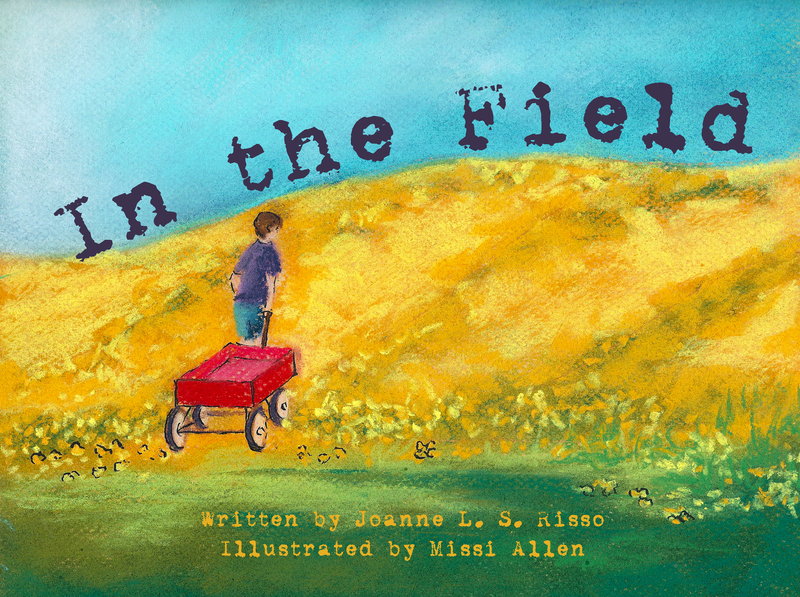 In the Field, Joanne L.S. Risso and Missi Allen (illustrator), Sunbury Press Inc., 2013. My Mom is an Alien, Joanne L.S. Risso and Dylan Matukaitis (illustrator), Sunbury Press Inc., 2014.